The Catalan parliament could declare independence on Friday (27 October), while the Spanish senate is set to vote in favour of suspending Catalonia's autonomy. 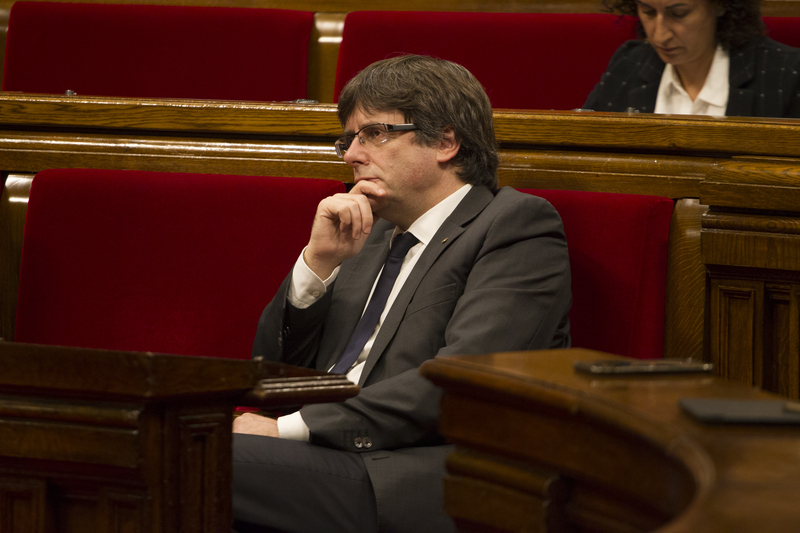 "It is the parliament's duty to proceed with what the parliamentary majority determines in relation to the consequences of the application of article 155 against Catalonia," Catalan leader Carles Puigdemont said on Thursday. Article 155 of the Spanish constitution is the clause that allows the national government to take "all measures necessary" to make a region meet its obligations to the state. Puigdemont's governing coalition, Junts pel Si, said it would "continue with the mandate from the Catalan people," given in the 1 October independence referendum, which had been declared illegal by the Spanish Constitutional Court. With the support of CUP, a staunchly separatist radical left party, Junts pel Si has a majority in the region's parliament. Meanwhile, Spain's prime minister, Mariano Rajoy, will appear in the Spanish Senate in Madrid to argue for the implementation of article 155 in Catalonia. If the upper house adopts the application of article 155, in a vote set for Friday afternoon, the plan would come into effect on Saturday. The Spanish Socialist Party and the centre-right Ciudadanos party both support the move. Rajoy said last Saturday that his government would decide to trigger article 155 for the first time in the country's history, to quell the Catalan independence movement. He said that the move would "restore the rule of law" in the region. The activation of article 155 is expected to suspend the powers of the Catalan government, limit the activities of the Catalan parliament, and take control of the region's police, finances, and public media. 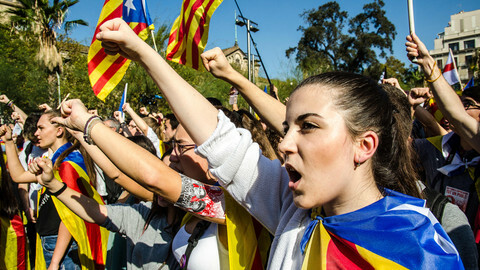 "If article 155 is applied, as is expected, the lessening of the self-government will be merciless and it will be very difficult to recover it again," Xavier Arbos, a constitutional law professor at the University of Barcelona, told EUobserver. 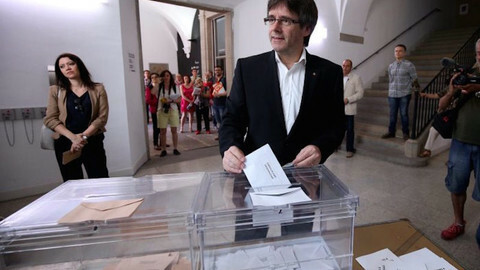 Regional elections could be held within six months, as planned by Rajoy, to bring Catalonia's governance back to normal. But Arbos pointed out that some parts of Catalonia's autonomy, such as the management of finances or the police, "are not precisely written down in the [region's] statute and they will be very difficult to recover because the confidence between the institutions has been broken." 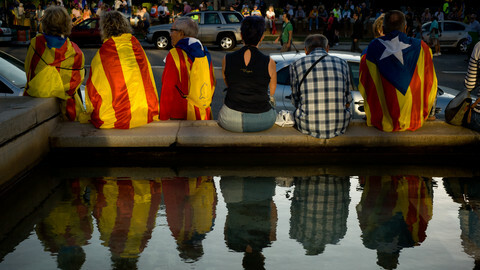 The Catalan police, the Mossos d'Esquadre, "have lost some of their powers already," he noted. "Judges give them less work to carry out and the prosecutors have suspended the classes they gave them at the academy." The head of the Mossos, Josep Lluis Trapero, has been charged with sedition by Spanish prosecutors for not preventing the October referendum. He is now awaiting trial. On Thursday, several vehicles of the Mossos - containing documents destined for destruction - were stopped, and the papers confiscated by the National Police force. "In forty years time, we'll still be fighting to regain the rights we had at the beginning of this year," Arbos said. Friday's collision course between Barcelona and Madrid could still have been avoided on Thursday, when new elections in Catalonia were on the table. 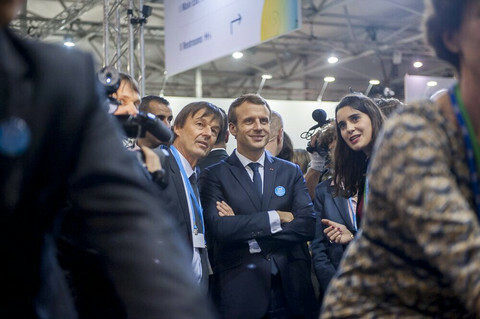 A date - 20 December - was even rumoured, while Puigdemont twice postponed a TV address where he was to announce his decision. But after a dramatic day of behind-the-scenes negotiations, the Catalan leader held off on his decision. "I was prepared to call for these elections, as long as there were guarantees that would allow them to be held with absolute normality," Puigdemont said on Thursday afternoon. 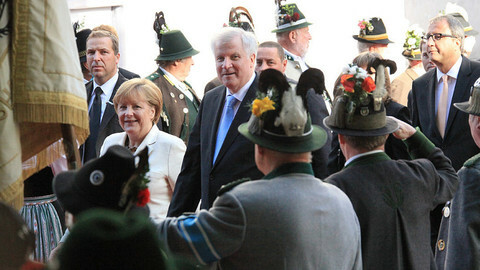 "There are none of these guarantees that today justify the call for parliamentary elections." 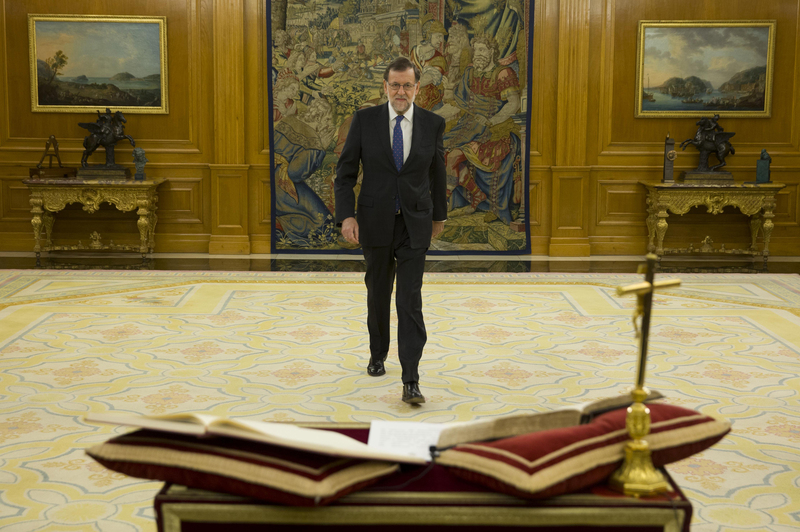 He said that he had no "responsible response" from Rajoy's People's Party, which he said had "taken advantage of this option to add tension, at a time when what is needed is maximum de-escalation and dialogue." Contact has been held at different levels and through different channels between Barcelona and Madrid. The plan was that Puigdemont would convene regional elections, while Rajoy would suspend the activation of article 155. In recent days, the leader of the Basque country region, Inigo Urkullu, acted as a direct contact person between Rajoy and Puigdemont. Urkullu's Basque Nationalist Party (PNV) gave Rajoy the support he needed in the Spanish parliament to pass the budget earlier this year, but the party is against Rajoy's plans to suspend Catalonia's autonomy. The leader of the Catalan Socialist Party, Miquel Iceta, has also tried to help facilitate talks between Barcelona and Madrid. Catalan minister for business and knowledge Santi Vila, meanwhile, held discussions with the president of the Spanish Parliament, Ana Pastor, who was also a minister in Rajoy's previous cabinet. But all of the talks ended up without a result. The failure of a negotiated solution to the crisis led to the resignation of Vila, who opposes a unilateral declaration of independence. "The dialogue and the mediation that I have always defended has failed again and has been undervalued," he said in a statement on Thursday night. 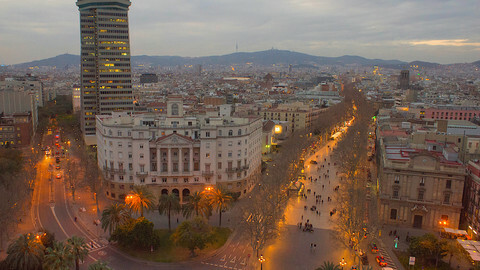 Intense discussions also took place in Barcelona, within the separatist camp. Puigdemont was put under pressure by his allies, for whom election plans were highly sensitive. Many separatists, even within Puigdemont's PDeCAT party, had called the Catalan leader a "traitor" or a "coward" before he finally announced that the elections would not take place. The Catalan Left Party (ERC) - part of the coalition government - warned that they would pull out of the government if Puigdemont called elections. "Puigdemont has again missed a new fantastic opportunity to stop [the crisis]," said the Catalan opposition leader, Ines Arrimadas, from the Ciudadanos party. She said that Puigdemont "still has time to return to legality and call for elections," but that he is "scared of the ballot box". Civil society groups have called for people to gather near the Catalan parliament on Friday morning. Left-wing parties have called for a "popular resistance" if article 155 is applied, and Catalan mayors have been invited to oversee the plenary session at the parliament. They were also told to bring their traditional mayor's pole along with them. The index of the Spanish stock exchange, the Ibex 35, surged on Thursday at the rumour of snap elections in Catalonia. But it fell slightly again after Puigdemont announced he would not call them after all. A crucial week is ahead in Catalonia as its leaders decide whether to declare independence - an illegal move according to the Spanish government – or yield to pressure from Madrid. It is in cities that new forms of poverty and new groups of people facing vulnerability, like the working poor, are first seen.